EDIT: Jamberry giveaway is officially over. Congratulations to Cassandra Dyer for submitting the randomly-chosen 565th entry. Please email me back within 72 hours to claim your prize. I'm toasting to a new year of blogging by giving one lucky reader a half sheet of Champagne Frost, plus an accent nail of Gold Crisscross. Both designs are retired and thus more expensive to buy on Amazon than when they were readily available from a Jamberry consultant like mine, Janet Stoy. 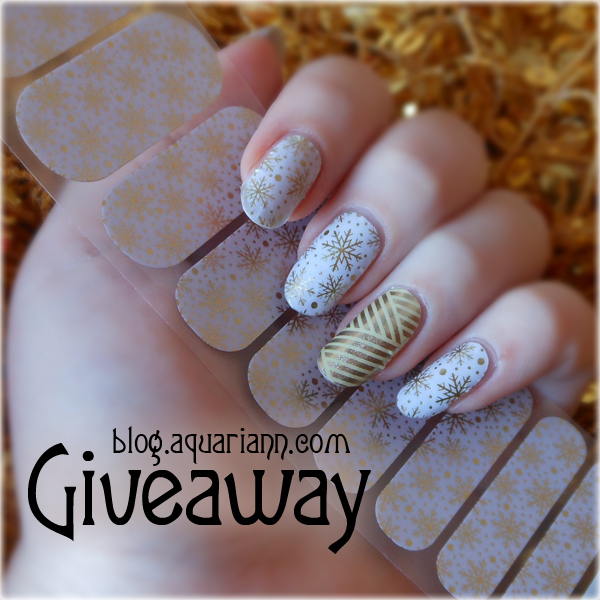 If you haven't ever tried Jamberry nail wraps, read my Jamberry Nail Wraps Tutorial on my friend Katie's blog. If their product sticks with you, comment on this post and fill out the Rafflecopter to enter to win before January 31, 2017. Sharing the worldwide giveaway and following my social media accounts will also earn you extra entries and glittery glee from me. I will ship anywhere, but will be super sad if the winner's country won't allow nail stickers through customs so please check before entering. After entering my giveaway, scroll down to find dozens more giveaways by fellow participating bloggers in the Jeepers It's January Giveaway Hop! 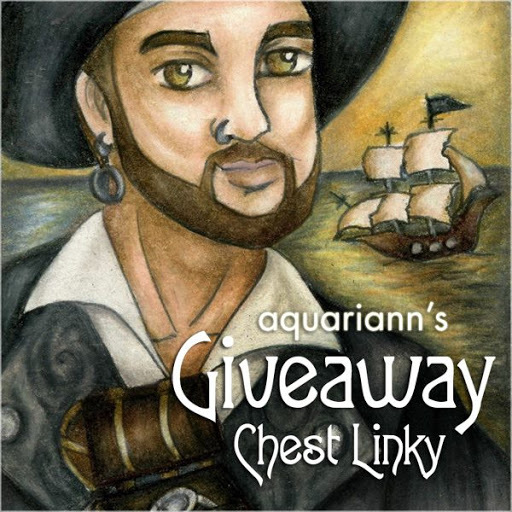 If you're hopping from there already and have a giveaway of your own to promote, I hope you'll add it to my Giveaway Chest Linky. The cosmos design is heaven!!! I love it! I like the LUCKY ME wraps. I love the Cosmos and stargazing. Anything to do with salve is cool with me! I love the Champagne Toast. Love the star gazing and champagne toast!! I like the unicorn dreams wraps. I love the Love Birds sheet the most. My favorite is definitely the Vertical Garden set. My favorite wrap is Berry Sparkler. I love the purplish colors! Copper glam and glittering rain are my two favorites! They're classic and so pretty! I like the royal bliss. I really like the egg-citment, fields of clover, and little moments. 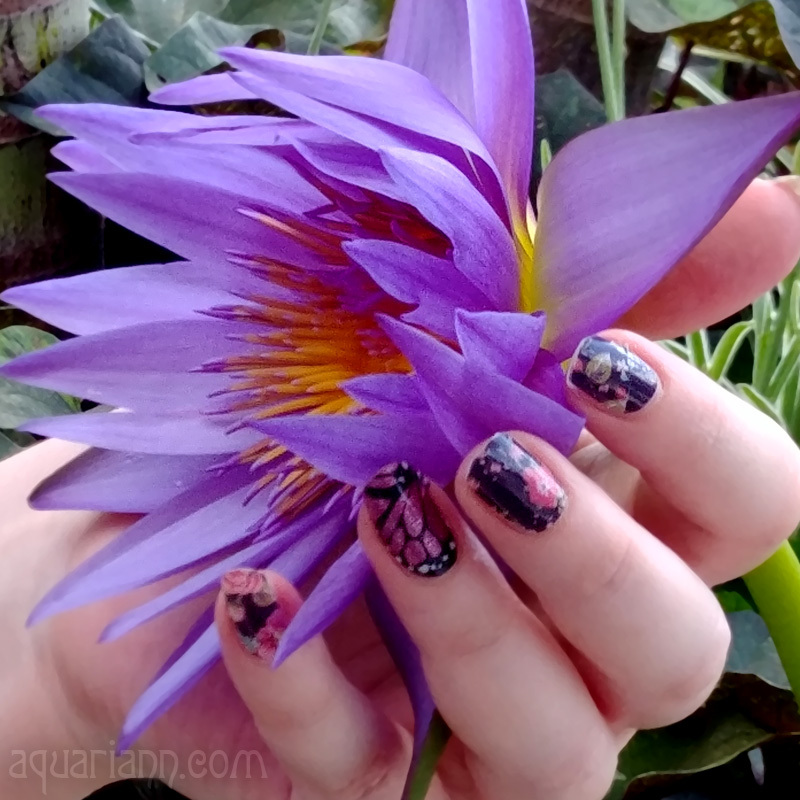 I love the Royal Bliss nails. Beautiful colors! I really like the Royal Bliss Wraps. So pretty! Oooo I love Sweet Surprise! We go home to the World in March and it's a toss up right now! I'm trying to decide if I like "Think Happy Thoughts," "Til Midnight," or the Maleficent ones best. I will probably go with "Think Happy Thoughts" because they are spring-like. I like Among the stars. I love the "grapevine" wraps :-) pretty shades. I love the Kiss Goodnight wraps...so cute!! I like Cosmos and Stargazing. My favorite wrap is Stargazing! I love the Glittering Rain! I really like Boho Blossoms. I love the LUCKY ME wraps! I love Champagne Toast most! i like the boho blossoms. super cute. I love the rose gold sparkle ! I like the just hatched wraps the most. I LOVE THE ROSE GOLD SPARKLER!!! I really love the deep richness of Stargazing. It would be great to pair with Tropical Forest and/or Cosmos. I love the Hearts Aplenty! I really love champagne toast. Its gorgeous and classy. I would like the GLITTERING RAIN. I have never tried jamberry. I like the royal bliss. I like the Stellar wrap. Stargazing is my favorite one! I love the Copper Glam nail wraps!